After writing the Tokyo Nightlife Dictionary, I was wondering what city to start my nightlife guides. My home city, Shibuya immediately came into my head. Your nightlife experience drastically changes based on where you go and what you do. Let me introduce the nightlife guide in Shibuya, the best pub crawls (izakaya), restaurants and bars from a local’s perspective. If everyone who reads this enjoys an unforgettable night in Shibuya, that is the best feeling I can have as a local. Shibuya is a city located at the heart of Tokyo with many lines that go through the huge Shibuya station. That’s why Shibuya has always been a center for young people to gather, and the place of origin for new fashion trends and sub-cultures. Especially the fashion building, “Shibuya 109” and the central street, “Shibuya Center-gai”, are at the heart of these developments. Even though there are many tourists, it is not completely touristic, and it still is a city that many Tokyo locals enjoy. It isn’t uncommon to forget time just by eating street food and visiting many stores. On the other hand, Shibuya also offers a wonderful nightlife. Since many young people gather in Shibuya from long ago, there are many nightlife options, and many people enjoy the nightlife until late at night making it quite a lively city. Now there are several large office buildings so a wide range of people from business workers to college students enjoy nightlife here. Shibuya as a city is quite historic and it is interesting seeing the new and old mixed together. Although many people are drawn to the new buildings and state-of-the-art cultures, there are many locals that spend their after 5 at places that maintain the comfortable and traditional Shibuya atmosphere. There even are yokocho and pub crawls where locals enjoy bar hopping. Since Shibuya is so wide, depending on the area the feel is drastically different. However, Shibuya has always been a spot many tourists (including Japanese tourists) visit and, the quality of food and drinks are all over. There are popular izakaya that locals love which maintain the local atmosphere and delicious food but, on the other hand, there are cheap restaurants that serve unoriginal, overpriced food and services to tourists who don’t know anything. Also to safely enjoy the night in Shibuya, I hope you plan on joining the Shibuya Bar Hopping Tour, which is a night time food and drinking tour operated by local Tokyo guides such as myself. 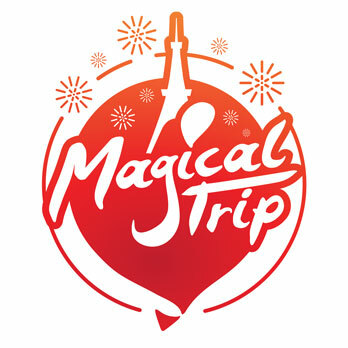 I can guarantee quality for it is a tour listed as one of the best 3 Tokyo Nightlife Category Trip-Advisor tours. I am looking forward to seeing you all! Now here’s the Shibuya Nightlife Guide! This Shibuya Nightlife Guide contains various information on how to spend the night in Shibuya. As it is a long read, you can jump to the information you are most interested in from the links below. Shibuya is a big city made up of various districts. Among them, I would like to introduce Food and Drinking Streets and Party Districts great for the night. I will also introduce Yokocho that have many izakaya. I will introduce izakaya and restaurants loved by Shibuya locals and people that work here. Mainly focusing on shops that locals gather will their friends for a nice after 5, traditional shops loved by locals for a long time, and not romantic places. Shibuya has a handful of wonderful bars, despite being a city of youth. Be sure to stop by a bar after going to an izakaya. I recommend not going early but going late. Shibuya is a city of nightclubs for young people. From late night to early in the morning, you can see young people heading to nightclubs or returning from nightclubs. I will introduce nightclubs that are leading the clubbing culture in Japan. Shibuya used to be a city where wild youngsters gathered and was not a city that was safe. However, now improving considerably, and is a safe city. There are still some key things and good practices to know so you can have a safe enjoyable night. Shibuya is a big city. With the huge Shibuya station at its center, which has over O exits when combining the JR and subways, there are various areas that Shibuya can be divided into. Among these, I would like to introduce Food Streets and Drinking Districts that are great for enjoying the nightlife. However, there’s no point in writing the same things as travel guidebooks, so I will only touch on the famous sightseeing spots such as Center Gai Street and Bunkamura Street (Street with Don Quijote). I hope you can understand. Dogenzaka refers to the slope / hill that extends to the left of one of the most famous shopping buildings in Tokyo and one of the sources of Japanese pop culture, “Shibuya 109”. (Saka / Zaka means slope / hill in Japanese and is commonly used in place names). There are several types of shops alongside Dogenzaka ranging from family friendly restaurants, izakaya that travelers can easily enter, to even karaoke. Despite not having special characteristics, Dogenzaka serves as a great entrance into Shibuya nightlife. One note in case of traveling with family, do not stray because one side street in and you’ll enter an area with adult shops lined around. Under Mark City is an area where salary men that just got off work drink, college students’ party, and many locals gather. It is a vibrant area, lined with small izakaya and standing bars popular to locals. It is an area not often covered so much in guidebooks but, I am convinced that it is filled with the most delicious and liveliest izakaya in Shibuya. This is an area located right under the big building directly connected with the station called Mark City and seeing the lights and energy from the izakaya flow into the usually dim space under skyscrapers and trains, as a Japanese, makes me excited. It is a great area to enjoy food and drinks amidst the local atmosphere but, it seems not many shops have English support as of now. Even the standing bar that we take you to in the local guide hosted Shibuya Bar Hopping Tour, Banpaiya (晩杯屋), a highly popular shop for locals, has no English menu. It is an area that is great after some preplanning. Hyakkendana is a traditional drinking street in Shibuya that has been loved by the local people for years. For that reason, there are many historic restaurants and izakaya. Being located adjacent to a red-light district and having to go through narrow alleyways to get there, Hyakkendana was an area that was too local that many people visiting Shibuya wouldn’t really go to. However, recently more and more new shops immerged and is slowly regaining its’ livelihood. Since it is quite a deep area of Shibuya, you can also just enjoy the unique feel by taking a walk and not forcibly entering shops. Niku Yokocho, Shibuya meat alley is located inside “Chitose Kaikan”, an izakaya building popular to locals since a long time. Normally, yokocho refers to an area with old houses and small izakaya tightly filled inside, but this yokocho utilizes a new concept and is inside a building. The small izakaya and tables lined narrowly across are almost like a maze making you forget that you are inside a building! It is a space you can only experience here. (Even as a local, I was surprised when it first opened). This yokocho is also a part of the Shibuya Bar Hopping Tour so I would love for you to enjoy the experience when you visit with the local guide. Now as the name Niku Yokocho suggests, there are many izakaya that serve various meats but, if you are on the Shibuya Bar Hopping Tour, there are vegetarian and vegan options too. Nobei Yokocho is an old-fashioned yokocho near Shibuya station. Nonbei is a person who drinks a lot. Despite being a yokocho near Shibuya station for 66 years, it has never been renovated and maintains a very retro atmosphere. It is a little smaller than Shinjuku’s Omoide Yokocho (Memory Lane) but, many locals bar hop across the small izakaya enjoying their drinks. However, every shop is self-run and may be difficult for travelers to enter. In fact, troubles related to the traditional local manners of Nonbei Yokocho and the customs of izakaya, there were some shops who refused travelers. Recently with more shops putting booklets on manners for travelers, it is slowly becoming a yokocho open to more travelers. I even hear that there are foreigners living in Japan who are frequent regulars. Maruyamacho is a place that starts to shine after 11 PM, due to the number of night clubs that fill the area. There are many night clubs in Shibuya, but Maruyamacho has the most. It is located a little past the Don Quijote on Bunkamura Dori street when coming up from Shibuya station and is a spot that you will probably only go for night clubs. There are also some casual bars that are great to go to before night clubs. Shinsen is technically not Shibuya but it is like the “Backdoor of Shibuya”. Since it takes about 30 minutes on foot from Shibuya station, there are not many young people and it is a great area for those who want to enjoy food and drinks while avoiding the bustle of Shibuya. For the same reason, there are also few travelers. Because there are many classy and high quality izakaya and restaurants, many locals gather but there isn’t much of a “Shibuya-like feel”. If you are not planning on staying in Shibuya for many days, I do not strongly recommend it. Sakuragaoka is an area located on the other side of the main street from the center of Shibuya. Since it is away from the center of Shibuya, there are many calm atmosphere shops despite being close to the station, such as famous ramen shops and other gourmet restaurants. However, there are not many izakaya. It is a great place to enjoy a quiet dinner with family or a lover. Center-gai is the street at the center of Shibuya and is crowded with many people. It is easily accessibly since it is located right across the Shibuya scramble intersection. Before it served as one of the sacred places of Japanese subculture, and still is the source of various Japanese pop culture and fashion culture such as Gal culture. Although quite touristy now, (there’s even a consumer electronics shop!) there are still many interesting shops that you should visit at least once. However, from the perspective of nightlife, we do not recommend food and drinks from here. To enjoy the hustle and bustle atmosphere and distance with the locals as well as experience the izakaya culture, the above mentioned Niku Yokocho and Nonbei Yokocho are great but, there are many great individual shops too. I would personally like to introduce shops well-known izakaya and standing bars highly ranked by locals. The criteria are to enjoy the food and drinks and the lively atmosphere. Banpaiya is a standing bar located where many locals gather, under Mark City. It is a typical standing bar izakaya crowded with young businessmen who just got off from work and college students. I hope you enjoy beer, sake or chuhai in one hand and popular izakaya foods such as fresh tuna sashimi and ham cutlets in the other! The hustle and bustle will also surely enhance the experience. In order to maintain the Japanese izakaya feel there usually is no English menu but, for Shibuya Bar Hopping tour customers there will be an English menu specially prepared. Fujiya honten is a popular and long loved standing bar izakaya in Sakuragaoka. It is a retro standing bar izakaya, and compared to Banpaiya, the age group of customers is higher, so the atmosphere is a little quiet. Although it may be hard to enter, the quality of food is high. The grilled squid and fried mackerel are popular. I often use this spot when drinking with my friends. Senryou is another long loved izakaya located under Mark City. It isn’t a standing bar so you can sit down and enjoy your food and drinks. Since this izakaya is well-established, the age group of the customers might be higher for Shibuya. Along with regular drinks, they also serve local Tokyo sake such as Hoyce and Vice. The more popular and delicious izakaya food on the menu is the Motsuni. Torimasu is an izakaya which has shops in both Hyakkendana and under Mark City. This izakaya mainly serves yakitori and their yakitori and yakiton are remarkable. With great meat quality, and yakitori grilled carefully on a charcoal fire, their food stands comparable to a fancy restaurant. And even better is, despite the wonderful taste, it’s cheap! However, since it is a popular spot, you are likely to line up if you do not visit around 6 PM. The shop in Hyakkendana has tatami mat seats, and you can enjoy a more traditional Japanese izakaya feel. Hatano is another izakaya located under Mark City. I apologize for listing another shop under Mark City but, there’s just that many great izakaya that locals love. This izakaya serves yakitori but also eel. For yakitori, they use the Shikoku region’s brand chicken and is delicious. The juicy eel has fine fat and the sweet sauce creates a delicious and wonderful harmony. However, eel is only offered if one with good quality is available and the price also varies on the day. Feel free to ask the staff if you are curious. Next up, I would like to introduce restaurants that may be lacking in local liveliness and atmosphere but are great places to enjoy a wonderful dinner. Because every shop listed below is popular, be sure to go early or plan ahead and make reservations. KINKA SUSHI BAR IZAKAYA is a fashionable seafood restaurant specializing in sushi. I believe that sushi should be enjoyed at a sushi restaurant but, this spot is an exception and I strongly recommend going here. In Japan, most sushi is almost never cooked and is served raw but, this restaurant specially serves lightly seared sushi, “Aburi Sushi”. The sushi looks very colorful and interesting while tasting delicious. A truly wonderful fresh sushi and seafood dinner experience that you can only enjoy at this fancy specialized shop. Jiroumaru is a “Standing BBQ Restaurant”, a recently introduced style of dinning born in Tokyo. The strange style of standing in front of a counter with a small charcoal grill and grilling your meat is quite new and interesting. You can enjoy good quality Japanese beef at a reasonable price, due to the standing and eating style, small counter space and fast customer flow. It is definitely a great way to enjoy Japanese style high quality BBQ and an interesting way of solo BBQ. Fukudaya is a soba restaurant located in the Dogenzaka area. It provides a very calm space, not overly fashionable, clean and cozy. Soba noodles is a traditional dish that Tokyo locals have loved for a long time. So, there are many soba restaurants in Shibuya but, I believe that Fukudaya is the best in Shibuya. Besides the classic menu items such as tempura soba, they also offer limited menu items every month utilizing the best ingredients of that season. Just eating soba for dinner may not be enough as well as you cannot stay for a while. If that’s the case, order some side menu items and drinks to compliment the soba. Soba is all about the soup stock (dashi), and any food made with delicious dashi must be delicious too! Even better, it's a perfect match with sake drinks. Koshi-Tantan is a famous restaurant in Shibuya for its chicken foods. Despite it being a restaurant, it is almost like an izakaya. It has a calm and relatively quiet atmosphere with its small and modern open kitchen interior. The charcoal grilled chicken and popular Japanese home food, chicken nanban are highly popular items on the menu. The combination of the egg-based tartar sauce, and juicy, soft chicken is exquisite! The price is almost reasonable and is an extremely popular restaurant for locals. Lastly, Reikyou is a Chinese restaurant located near Hyakkendana. You may think why Chinese food in Japan? Japanese people love Chinese food (Ramen at its’ roots is Chinese food). Chinese food in Japan has evolved from the mainland Chinese food and has become tailored to the Japanese tongue to the point where some refer to them as Japanese food. It is Japanese-style Chinese food. Reikyou has been a restaurant that has been loved by local Shibuya residents as well as people who visit Shibuya. As evidence, you can rarely enter without having to wait during dinner time. If you want to try something other than Japanese food, why don’t you give Chinese food a try? Do you happen to be reading this article around 11 PM? Around that time, most good restaurants and izakaya are closed. How about going to a bar or pub? Doesn’t it sound like a good idea to have a nice conversation with the bartender or the guest next door with a delicious drink in hand? There may be only a few authentic bars like Ginza in the city of youth, Shibuya but, there are a handful of casual but fine bars and pubs. Asking the hotel staff for some recommendations is good but let me introduce 3 of the best in Shibuya. Ishinohana is a cocktail bar located opposite from Shibuya’s central city and has been the top bar in Shibuya for over 10 years. It is the legendary bartender, Mr. Ishigaki’s bar, and is famous for his original cocktails using fresh fruits. Since he uses the highest quality and most delicious seasonal fruits, it is always refreshing to try different drinks whenever you visit. His technique and skill as a bartender is top quality so just watching him make cocktails is fun. Nevertheless, as a bar, it maintains a casual atmosphere, being often overflowing with customers but only being able to overhear some conversations. The staff’s service is also very friendly. It is a fun-filled popular bar that constantly attracts fans from all over. Abbot’s Choice is a pub located under Mark City and is open until the morning! They offer a wide variety of beers and whiskey. For beer, over 60 including draft beer and for whiskey, over 500 are in stock. The staff also love alcohol, and I remember one time, I was talking about different drinks with the staff, I forgot how much time passed and when I noticed it was morning. The food menu is like British pub and lacks originality but, the fish and chips are very delicious. Just be weary that since its located in Shibuya and is open until the morning, some noisy customers could be there. Yamazaki is a quiet bar located a short distance from Shibuya station, about a 10 minute walk. Often crowded with couples, and despite being in Shibuya, the age group is higher, and has a relaxing atmosphere. The bartender is the same name as the bar, Yamazaki and is a friendly bartender. You may order whiskey but, it is a cocktail main bar. With each glass, you can appreciate Mr. Yamazaki’s skill and technique. I would definitely recommend this bar if you get a little tired from the bustle of Shibuya. Inside of Yamazaki/ MetRO miN. It’s passed 0 AM and the last train left Shibuya. Most people will be finding other ways to go home but, in Shibuya, there still are many young people walking around ready to have fun. Where do they go? They go to nightclubs. After 0 AM, Shibuya quickly becomes a city of nightclubs. Let me introduce 3 of the most famous and high quality nightclubs in Shibuya. TK is a brand new nightclub located where (what I think was) the most popular nightclub in Shibuya, T2 used to stand. Among the numerous nightclubs in Tokyo, I think TK is the only nightclub that is even crowded on the weekdays. It is just that popular. On the weekends, it gets even more crowded, making it hard to move around. Most nightclubs in Shibuya have younger guests but, TK seems to house guests that may be a little older. I’ve gotten the impression that many party loving sociable locals gather here. The atmosphere is gorgeous and the quality of the sound equipment is very high. They provide a wonderful space for entertainment that not only filled your ears with music but also your eyes with light shows. I would recommend TK if you really want to enjoy a great party. The music is, of course, EDM main. Womb is a nightclub that I used to frequently attend when I was a college student! It is the only nightclub from Japan that ranked in the 100 Best Clubs in the Worlds Rankings. This nightclub’s main floor is wonderful. In the high ceilinged and spacious room, high quality sound comes at you from all 360 degrees. Especially the bass is very comforting. The lasers and lightworks are also very well crafted and you can enjoy an all-around memorable experience. There are also many events where famous DJs are invited from all over the world to perform, and the quality is high in all aspects. Compared to the other nightclubs in Shibuya, there large numbers of non-Japanese guests. Unlike TK which has more of a “party” atmosphere, Womb is more like “listening to music and dancing”. The music is mainly EDM, Techno and House but, HipHop is sometimes played in lounges besides the main floor. Vision is probably the biggest nightclub in Tokyo with a capacity of 1500 people. Who knew there was that much space in the basements of Dogenzaka, Shibuya! Inside this surprisingly huge nightclub, there are 4 floors. Each floor has its own concept and you can enjoy almost all genres of music, so regardless of what your musical tastes there should be a match at some floor. There may be not as much people as TK during the weekdays but on the weekends, a tremendous amount of people fill-up the place. There are 6 bar counters to deal with the large number of guests. The inside is like a maze so be careful not to lose your friends. Almost all Japanese restaurants, and izakaya have izakaya manners, especially the small izakaya loved by locals. Although they are not that difficult, and most of them are common sense, going to an izakaya without knowing these might lead you to some trouble. The Izakaya & Drinking District Guide highlights the most important manners so be sure to give it a read to fully enjoy a safe izakaya experience. Of course, if you join the Shibuya Bar Hopping Tour a local guide will accompany you so you won’t have to worry so much about these manners. 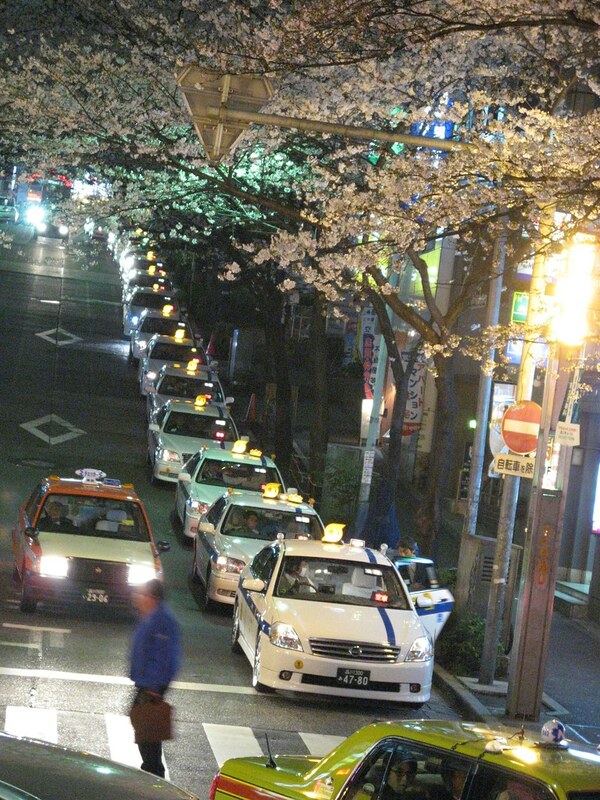 It is best to try these tours at least once to get a feel for nightlife in Japan. I mentioned this in the Toyko Nightlife Dictionary but, do not follow staff that try to solicit you into shops. There are some regular shops that have staff outside that guide you to their shops but, most and especially the staff in front of the station are not safe. They typically work for dangerous shops, and they will offer you a “special” discount price when in actuality it is a lie. Ultimately, you will have to pay an expensive bill for horrible service and horrible food. To not ruin a safe and fun nightlight, it’s best practice to not listen to these staff. Refer to the Tokyo Nightlife Dictionary for more detailed information. Although this article only covers a work friendly nightlife, there are “gentlemen’s clubs (cabaret clubs)” where you can drink with young women. Unlike Shinjuku’s Kabukicho, I do not hear of malicious clubs in Shibuya and the clubs themselves are not dangerous; however, going to one without understanding the payment system can lead to some trouble (even for Japanese people). These gentlemen’s clubs are indeed a unique part of Japanese nightlife so I wouldn’t stop you from going but, if you are going to go, be sure to understand the payment system, and leave within an hour after entering the shop. This is because many of these clubs drastically increase the price after an hour.